Indianapolis has filed a lawsuit to prevent Carmel from building several roundabouts along 96th on the cities' shared border. representative, Indianapolis followed her lead. After he couldn't get Scales to change her mind, Mayor Jim Brainard in March told IndyStar he would build the roundabouts regardless of whether Indianapolis agreed to the plans. Indianapolis filed the lawsuit this month, arguing Carmel has no authority to buy right of way or do roadwork in Indianapolis city limits without permission. Boone County Judge Matthew Kincaid will hear the case to avoid a conflict of interest with Marion or Hamilton county judges. The article goes on to quote Carmel Mayor Jim Brainard that under state law Carmel has the authority to maintain roads on its southern border. It is not clear that provision though would include construction of a completely new intersection which involves crossing over into another city to do so. The article also quotes Councilor Scales who notes the opposition of business owners to the project. 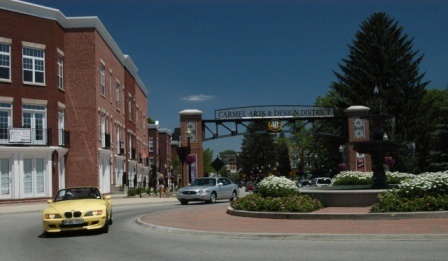 I've long said that the construction of roundabouts is the best thing Carmel Mayor Jim Brainard has done in office. I used to work in Carmel pre-roundabouts and traffic congestion was horrible. Not so any more. But drive in Carmel today and it appears that a few well-placed roundabouts has given way to an obsession. You can hardly drive in Carmel today without encountering scores of roundabouts, many of which are on lightly traveled roads where a stop sign might be more appropriate. On the other end, there are extremely busy intersections in which a stoplight would be better. 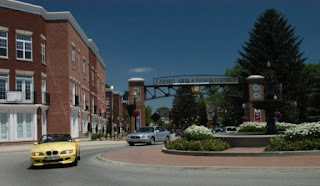 Indianapolis should have the right to say "no" to the Carmel's obsession with roundabouts. Paul, as a fellow attorney on hiatus, I am glad Indy is using staff attorneys so far. However, I would assume a (high priced) downtown Indy law firm will end up covering for Carmel. Since Carmel tends to get in fights, maybe it is time they hire an in house attorney to focus on all the courtroom action instead of making the rich richer. TrumpCare is going to kill thousands of Americans so the rich can get a tax break, and you're writing about roundabouts? What a wonderful Christian.